There is street parking available. Hotel parking if you check in with the front desk. We offer private rooms for large parties. Both corporate and private celebrations. We can also bring Afternoon Tea to you with our offsite catering. Time travel never seemed so luxurious. Visit Niagara-on-the-Lake to rediscover the attention-to-detail that defined a more elegant era. Celebrate special occasions with a selection of Artisan cheeses and sparkling wines. Toast to the picture perfect girls’ day with finger sandwiches, delicate desserts and morning mimosas. Delight in quality time with friends and family in an atmosphere of high taste in every sense of the word. From the adornment of rose chandeliers to floral table clothes and teapots, Prince of Wales brings your whimsical garden party indoors. 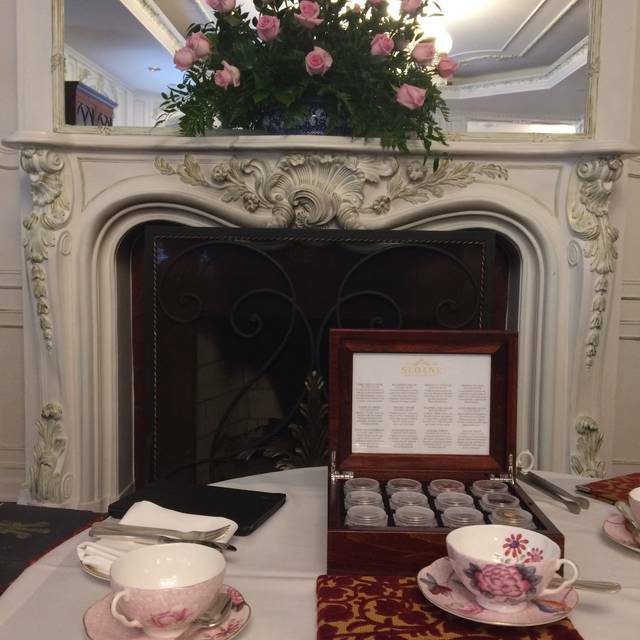 Our Victorian Tea Room and English delicacies are fit to be enjoyed by guests who appreciate regal treatment with an imaginative twist. A delicate "White Peony" tea blended with the sweet succulence of "water honey peaches" and finished with a hint of vanilla for a truly creamy finish. you could pick them out and eat them. The warmth of lemongrass, ginseng, licorice root and other herbs provide balance and body, adding depth to this soothing tisane. Try it with honey when you're feeling under the weather for a spicy pick-me-up! Known for its' healing and immune boosting properties, this all organic tea includes lemongrass, peppermint, rosebuds, raspberry leaf, cloves and spices. A refreshing and relaxing tisane with an unforgettable aroma and flavour. Fair trade and organic! A warm blend of lemongrass, mint, ginger, and delicious fruits. This tisane is bursting with flavour, and contains chunks of apple, papaya and citrus peel so large you could pick them out and eat them. The warmth of lemongrass, ginseng, licorice root and other herbs provide balance and body, adding depth to this soothing tisane. Try it with honey when you're feeling under the weather for a spicy pick-me-up! Nice place, historic ambiance. Pastries were very good, scones were excellent and warm! Could have more selection on the finger sandwiches. Flavours and preparation was excellent. It would have been nice if the staff was a bit more accommodating to our request for halal options for the meat. Regardless, we were given some extra cucumber sandwiches and scones which did not do justice to the price that we paid. Wonderful, unique experience! Delicious food, warm ambiance. Service, ambience, food and value were exceptional! 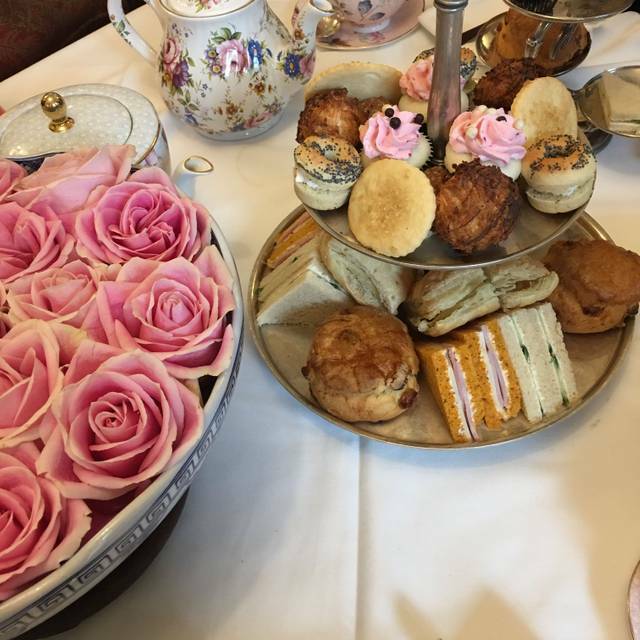 Such a great high tea experience that really anyone could enjoy. Highly recommend! 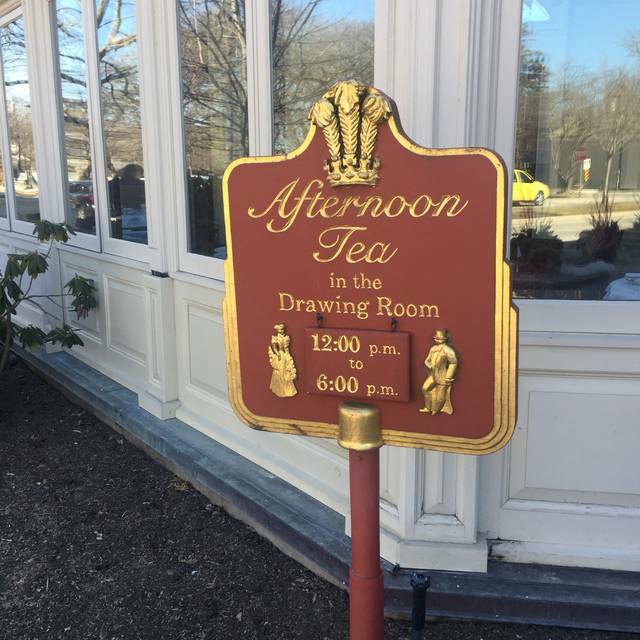 This was my second time to the Drawing Room for High Tea and I was not disappointed. We took 6 others for the tea and they loved the experience, the tea, and the food. It was so nice to be treated like royalty for a few hours. The staff could not have been more helpful and the food and tea were excellent! What a great way to end a vacation at Niagra on the Lake! Had to wait 10 minutes past our reservations but tardiness was acknowledged and apologies offered by everyone. Server Grace went above and beyond. Just left after having tea in the drawing room. Such an awful experience, thank goodness the company was good or I would give it one star. Showed up 10 minutes before our reservation, after waiting half an hour past our reservation time, they wanted to seat us in the dining room instead because they had no tables. We refused as we drove an hour for the high tea experience, and didn't want to have tea surrounded by people eating lunch. We clearly annoyed the people working since we wouldn’t go into the other restaurant. Finally we were seated and ordered water and tea, no water came but our tea came, it was the wrong tea for one person. And they brought all 6 of our teas in matching pots so we couldn’t figure out whose tea was whose. Tea was also lukewarm and weak. After sitting for over an hour and finishing our tea our food finally came, it was okay but definitely not worth $40 a person. We had to ask a different server to bring us our water, which we finally got. All in all, I wish we had ate somewhere else. We saw many people decide to leave instead of waiting an hour past their reservation time to finally be seated. It’s not somewhere I will plan to return to, nor would I recommend others to go. We went to the Drawing room in a Saturday afternoon and the experience was a bit disappointing. A) our reservation was at 2pm and we did not get seated until 2:45pm - and we were attended to inpatiently by the receptionist. I can certainly understand that you cannot kick your customers out, but it is your job to make sure the number and time of reservations you are allowing make sense. And most importantly, don’t show your frustration to a waiting customer. B) although we were not expecting a Michelin star afternoon tea, the food served was “all right” at best. The pork stuffing was not treated properly and had a strange odour. The Drawing room afternoon tea was supposed to be the best part of our visit to Niagara-on-the-lake, but unfortunately it fell on the other side of the spectrum. Amazing! Paid attention to every detail! Went above and beyond for our food allergies. An amazing experience! Had a great time, celebrating my birthday and having high tea was AWESOME!!! We experienced tremendous value for the money. The food was fresh and filling! We loved the evening embience! Beautiful building with a wonderful atmosphere. The staff were amazing- very friendly and helpful. And the afternoon tea was delicious. Wonderful experience overall! Perfect atmosphere to be with friends. We were away for a girls weekend and we decided to come here for tea. We had a fantastic time- the wait staff was very accommodating. The value of what was served for the cost that we were charged was amazing. The scones were delicious as were the rest of the treats. overall a great time and we will be back again soon. Everything was lovely as usual, but I did notice that my chair had some food & food marks on it. 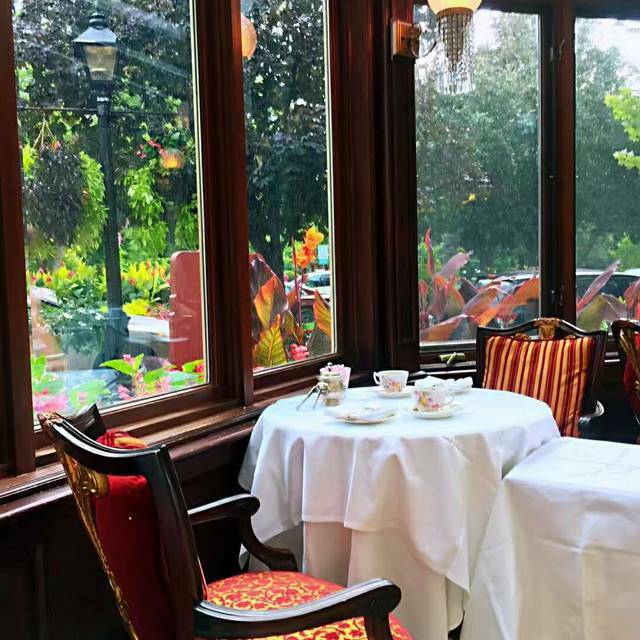 I know it's difficult to clean and check the chairs after each guest leaves but when you charge a high price for the tea, and with the beauty of the dining area, it's a shame that these things are not addressed. 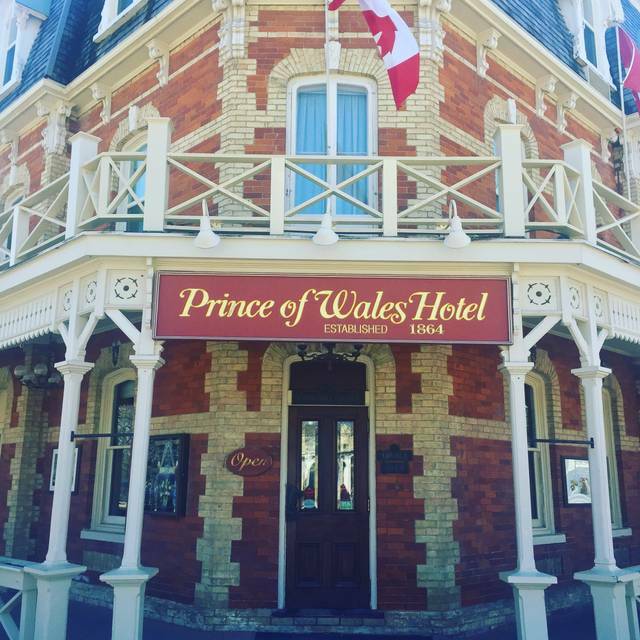 We hope that the high standards of the Prince of Wales Hotel remains a priority. Thank you. The setting was lovely. The server didn’t come back often however when she did she was very pleasant and knew a lot about the tea. The food was good however I wish there was a few different options for the sandwiches as we didn’t all eat meat so they were limited to cucumber only. Birthday event for my wife. Seating was excellent. Service was very friendly without being intrusive. Food was very good. The entire experience would be something I would like to repeat. It was an excellent ambiance! Good company have been in the past and will definitely go back, thank you for a pleasant afternoon! Always a lovely experience. Nice selection of teas. Quality is good but not impressive considering the cost. My daughter and I come a few times a year for the beautiful ambiance and some extra special time together. The warm scones are excellent. Service is always ideal - calm, low key, respectful, attentive enough but not too much. We will return. My 7th time coming for afternoon tea. Never get tired of it. 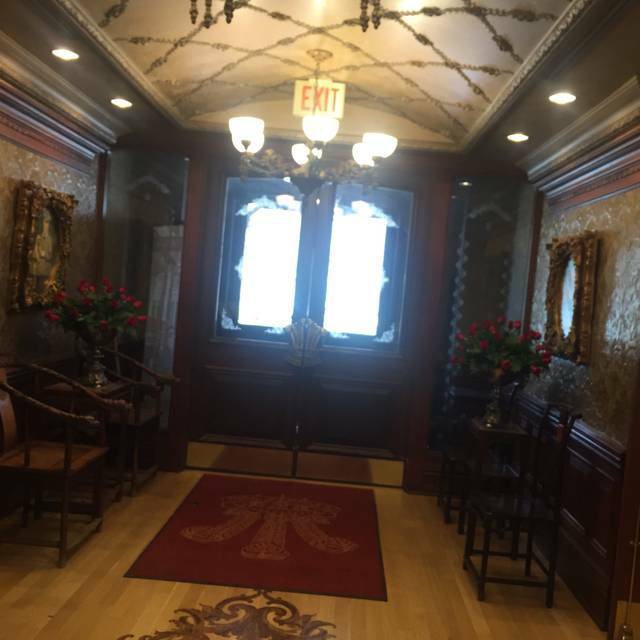 The ambiance is wonderful and the service and food are excellent. Makes one feel very spoilt and relaxed. Would highly recommend it. Brought my 3 friends on Wednesday, their first time, and definitely not the last. Seated us 40 mins later than our reservation time. We were at the restaurant 10 mins before our reservation, so we were not late. We were told we would be seated in 10 minutes, those 10 minutes became 40 minutes. Sandwiches were mainly on white toast bread and with minium fillings. White bread was hard. Used to offer mini quiche, but no longer available. Pink cookies were horrible. I would definitely recommend this to a friend. We have been doing this for 3 years and look forward to continuing this new tradition. 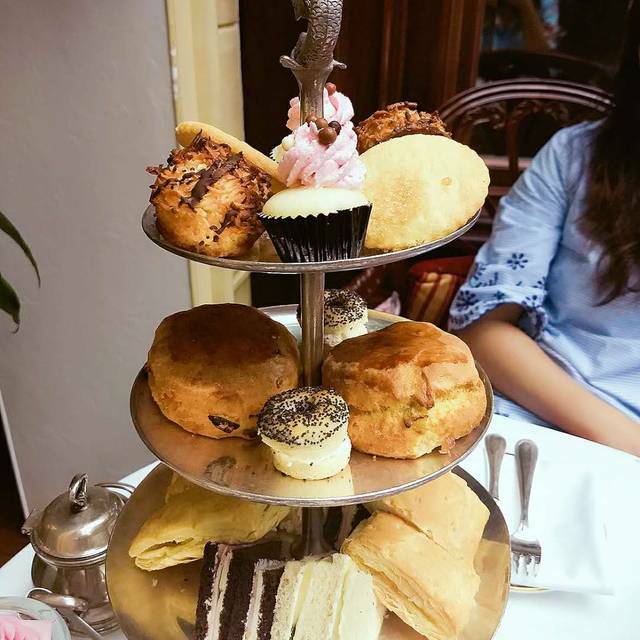 This is our "annual" Mother-Daughter High Tea experience, and we look forward to it every year! We were so lucky to have Samantha (again) as our server, she is a DELIGHT!!! Try the Monarch Tea - It's the best!! Highly recommend. This is always such a pleasant experience. It's just a special moment - whether shared with friends, family or a couple. It's nice to treat oneself every once in a while and this is a way to do just that in style! With the special promotion of buy one, get one - it was a very good deal, too. We went to the Candlelight tea. It was lovely. The ambiance of the room was warm and charming. Our server was polite and attentive without being intrusive. I had the Niagara Fields tea and it was delicious. The beautiful tea tray platter had decadent treats and yummy sandwiches. My friend and I spent over two hours, sipping, nibbling and chatting without ever feeling rushed. I highly recommend this experience, it was a wonderful treat to breakup the long winter. 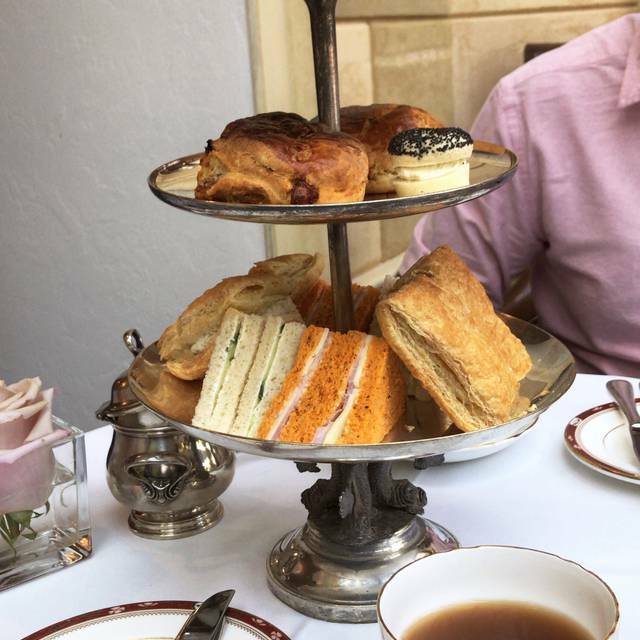 I have been coming for afternoon tea at the Prince of Wales for 10 years and have always been pleased. As always the service was excellent but sadly a lot of the sandwiches were hard as though they had been left out in the kitchen to long and the Pot of coffee was cold . When I asked for a new pot, by the time it was returned I’d almost finished my food. I was told the coffee was made in another restaurant . Just felt a little disappointed. It was very good and we are looking forward to going back soon. Overbooked so had to sit in dining room. Would of preferred tea room. 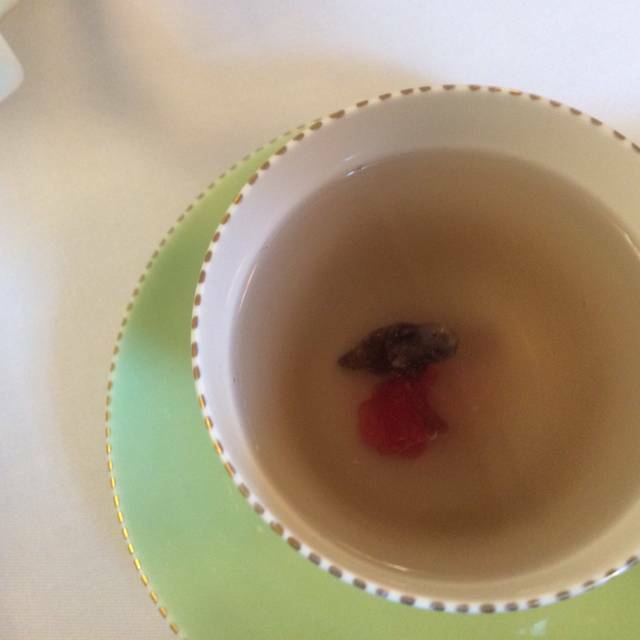 My friend and I thoroughly enjoyed our 'unrushed' tea experience. We had the most wonderful person serving our tea! (I believe her name is Victoria and she could not have been better! We had a wonderful experience. It was my first tea at The Prince of Wales, but hopefully not the last. The hostess was most welcoming and informative. Our server explained the selection of teas and was friendly. Scones were warm and delicious as were sandwiches and dessert items, especially the lemon tarts. Noise level was a little high when we arrived, but the room was at capacity. Overall we were very comfortable and are already to go back again. Had a great time. Went for my wife’s birthday and brought our 11 month old daughter Pamela for her first afternoon tea 🥰. They brought us a high chair and the service was great! Thank you. Love love love this experience. Thank you for making it accessible twice a year...at two for one. Overall it was extremely good. My grand daughter was very pleased with experience as we all were. 2 for 1 coupons no longer available on weekend, mimosa only 3/4s full and sandwich bread not as fresh as I’ve had. Experience this weekend was a little below what we have come to expect. Please carry lactose free milk!